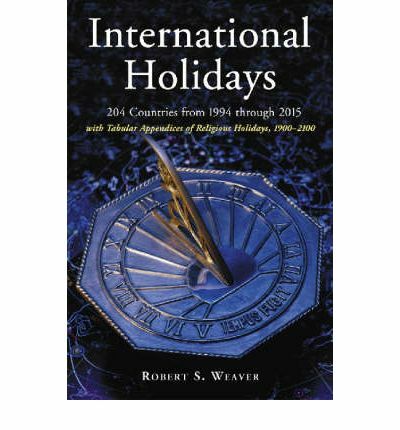 From Afghanistan to Zimbabwe, two decades of national holidays from 204 countries can be found in this unique reference work. Day-by-day, holidays from 1994 through 2015 are covered, giving religious and government holidays. So-called ?soft? holidays such as Mother's Day are included for information purposes.